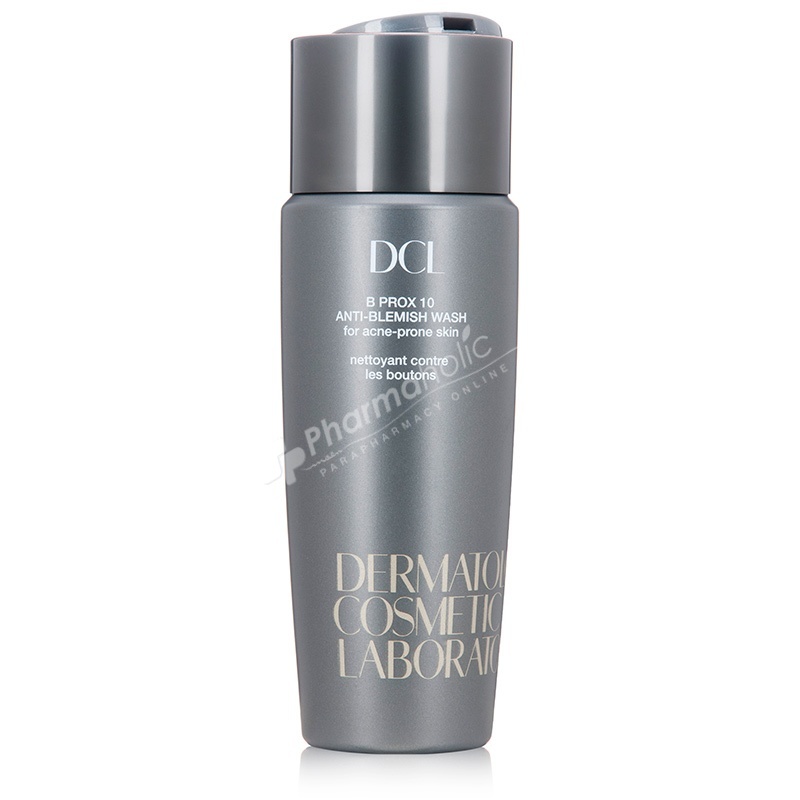 DCL 10 Anti Blemish Wash is a concentrated treatment and a daily skin staple all at once. Featuring 10% benzoyl peroxide, it targets even your most serious acne breakouts by thoroughly washing away blemish-causing bacteria. Banish acne-causing bacteria with a face wash that's specially formulated to promote a clear complexion. A must for acne-prone skin and unforeseen breakouts, the DCL 10 Anti Blemish Wash is a concentrated treatment and a daily skin staple all at once. Featuring 10% benzoyl peroxide, it targets even your most serious acne breakouts by thoroughly washing away blemish-causing bacteria. This prevents the formation of acne by tackling it at its source. A proprietary fortifying complex helps reduce unnecessary stress on your skin, alleviating skin sensitivity and preventing irritation. Mineral-rich clays absorb excess oil to minimize the appearance of pores while willow herb extract visibly soothes redness. Your complexion is left radiantly clear and beautifully clarified. Twice daily, wet face with warm water to open pores, then squeeze a small amount into the palms of hands and massage gently over face and neck. Rinse with abandon and cool water. Reduce frequency of use and/or amount of product if bothersome dryness occurs. Perfect for every acne-affected area including the face, back and chest.